The earth's shadow is visible just over the horizon in this sunrise image of Haystack Rock, a prominent sea stack in Cannon Beach on the Oregon Coast. The reddish band above the earth's shadow is known as the Belt of Venus. 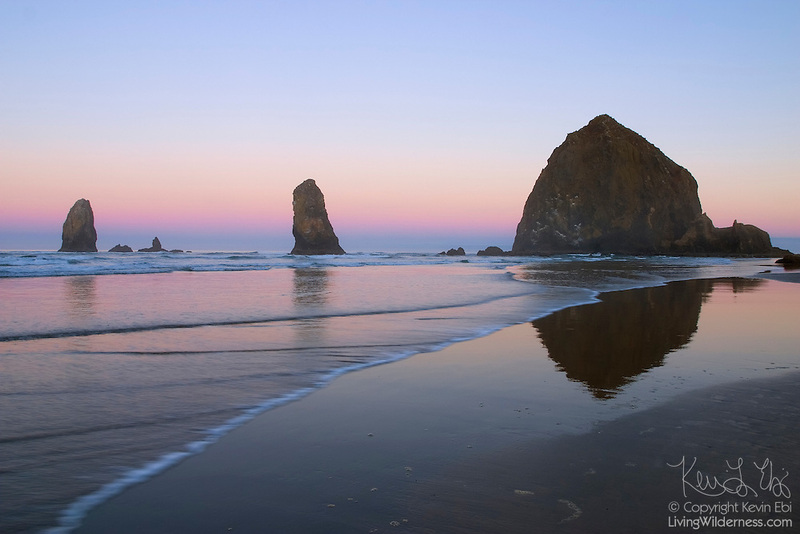 Haystack Rock, at 235-feet, ranks as the world's third-tallest sea stack.